Don’t worry if you worry! Do you ever get nervous? I did last week. In fact, I turned into a complete and utter nervous wreck for an hour or so. Why? Well, it was all because of Doctor Who. No, I wasn’t hiding behind the sofa from the Daleks or the Weeping Angels. Not this time. At the moment, I’m writing a new Doctor Who comic book series based featuring the Ninth Doctor, as played by Christopher Eccleston. 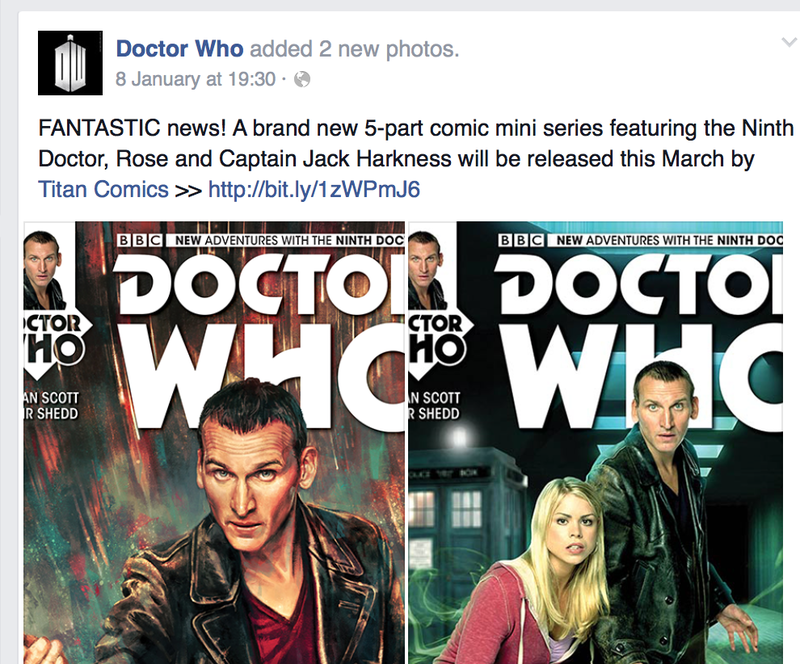 There I was, having a blast working with artist Blair Shedd, and then the comic was mentioned on the official Doctor Who Facebook page. And, almost immediately, got 10,000 likes. At first I laughed. And then my knees start knocking together, and my stomach felt like it didn’t just have butterflies. It felt like it had eagles flying around in there! Now, as I type this, the post has attracted well over 23,000 likes. Woah! Is it any wonder that I’ve felt the odd wobble or two? But, do you know what, loads of writers get nervy. It’s quite natural. You spend hours upon hours working on something and then a little voice in your head starts to panic. What if it’s a load of rubbish? What if no one likes what you’ve written? What if an elephant is about to fall on your head from a great heart? OK, I admit I’ve never worried about that last point, but the other concerns are all very real. And the good news is that everyone gets them. All. The. Time. Even famous actors get jumpy. Sir Laurence Olivier was one of the world’s most famous actors and he sometimes had to be literally shoved on stage because he was so nervous. Benedict Cumberbatch, the voice of Smaug the dragon in The Hobbit films, is a major movie star, but still gets so nervous that he nearly throws up before going out on stage. The trick is to try to use those nerves. Yes, it was a bit of a shock when I realised how many people are looking forward to my comic book, but I’ve tried to use my worries to focus my thoughts as I finish the comic strips. After all, if so many people can’t wait to read it, I better make sure that it’s very, very good. If you get nervous about something, it means that you really care about it – and that’s a good thing. It’s the same whether you’re writing a comic, performing on stage or taking a test at school. Nerves actually mean that you’re taking it seriously. You just have to remember, that everyone else feels the same – and that the chances of an elephant is going to land on your head are actually reeeeeally slim! Honest! Previous post ← Hello all! Yup. Being nervous means you’re doing it right. It’s just sometimes it’s hard to remember that while in the middle of a worry wobble! Great post – I very much identify! It’s good to know that we’re not alone in this, isn’t it? I worry, ALOT!! Does that mean I care so much about what I worry about I really love to write? The trick is not to try and focus on the worry itself – although that is easier said than done, I know! I try to think, OK if I’m worrying about this, it’s obviously important, so what can I do to make sure I get it right?